Who is Driving Lean CI at Your Enterprise? Do you have Team Performance "Kata"? Lean Six Sigma delivers efficiency, quality, and optimal value to the customer while controlling organizational and departmental costs to maximize ROI for company stakeholders. 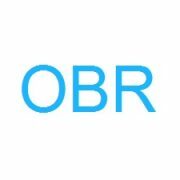 OBR will find your company’s best optimization solution for maximum quality and Return on Investment. Business survival is the result of many factors to include a Competitive Advantage developed from Lean Efficiencies and Defect Reduction which result in lower Operational Costs vs. Revenue Generated. Ultimately, all businesses are valued for sale by shareholders who demand greater Efficiencies and Return on Investment. Generally speaking, Return on Investment ‘Savings Discovery’ from Lean System Optimization more than covers the cost of Systems Optimization. 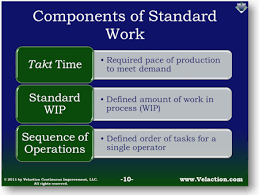 Investment in ‘Lean Systems Optimization’ will gain perpetual ‘Efficiency’ revenue saved. Plus, ‘Lean Systems Optimization’ delivers an Increase in Company Valuation. Greater Company Valuation is derived from increased profits from improved revenue streams developed from expanded capacities and business growth which is derived from optimized systems and quality products & services. Outsource Project Development: Outsourcing project work will lead to greater company efficiencies and internal economies of scale. OBR Optimization Engineering is your Systems Optimization Solution! Obtain leadership views, expectations, and goals. Determine and prioritize optimization opportunities. Define the project and limit project scope. Present optimization opportunities and solutions. Measure current state metrics, efficiency, and quality. Implement solution, train, and control the operation. Monitor ‘Lean System’ metrics (i.e. “What gets measured, gets improved!”). Further consideration of ‘New’ and “Parking Lot” optimization opportunities. Lean Six Sigma and ‘Systems’ training. Under-Control. Defects manageable. Engineering has new-product development projects. Operations deliver production. Floor Associates understand production and deliver “to schedule” as best as possible. BREAK THE PARADIGM: “Innovate Your Lean CI Systems Optimization”! Are you driving Lean CI Systems Optimization to the next level? Are you leaving process waste money on the table? Is your Lean CI Optimization tactically executed from the floor focusing on Leadership Vision & Strategy? The focus is Leadership Vision & Strategy; Optimization Project: Accountability & Follow-up; Operations: Tactical Execution, Continuous Improvement & Brainstorm; Operation Value Stream Analysis; Metric Scoreboard & Measurement; Leader’s Gemba Walk. Plus, additional Lean Language & Methodology Training. Flexible. Based on Operation Value Stream, Tactical Gains and Continuous Lean CI Training. Let “OBR Optimization Engineering” drive Results and Motivation to achieve your Lean CI System Optimization Goals! “Train and Re-Train, Your Team”, Today! Invest in OBR’s “Lean Six Sigma CI” ‘basic’ one-day class. Instructor Led, at your operation. Call (424) 241-0290. See Flyer Above! “Lean Six Sigma CI” Knowledge: Lean Language (Glossary Terms), Six Sigma, Value Stream Map, Kaizen Sprint, Process Map, Standard Work (Measurement & Metrics), Visual Workplace (5S), Kanban (Pull Systems), Flow (Cell Production), TOC (Theory of Constraints), A3 Report (Root Cause Analysis), PDCA (Plan Do Check Act), Critical to Quality (Voice of Customer), SMED (Single Minute Exchange of Dies), TPM (Total Productive Maintenance), Lean Transformation & Strategy Deployment (Change Management). “Get your Revenue Stream on Track!” Understanding your Value Stream is essential. Efficient operations and ‘top quality products’ deliver ‘value’ to the customer. Graphical representations of Current and Future ‘Revenue Generating Operations’ enhance ‘Value Stream Understanding’ and give Leadership a ‘view’ of quarterly ‘status re-evaluation’ and yearly ‘deep-dive’ strategy ‘development and deployment’. ‘Graphical VSM’s’ provide a tactical level view for Kaizen Sprint solution ‘discovery and implementation’. Call OBR Optimization Engineering for VSM Focus. Instructor-Led. (424) 241-0290. See Flyer Above! 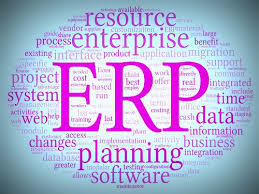 Consider OBR’s “5S & Visual Management”, “Kaizen Sprint”, “Kanban Systems” and “Standard Work”, Plant Floor Layout, Systems Automation and ERP Systems Development for Lean Systems Optimization. Outsource Project Development: Outsourcing project work leads to greater company efficiencies and internal economies of scale. 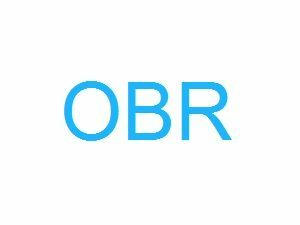 OBR is your Systems Optimization Solution! 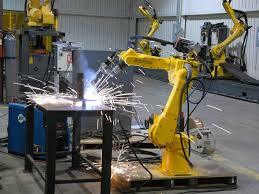 Industries: Medical, Aerospace, Industrial, Government, Service, Retail, Restaurant, Banking, and Finance operations. Process Optimization: Lean Systems Optimization, Operational Efficiency, Six Sigma Quality and Defect Reduction, Plant Operations Management, Project Engineering Management, Kanban Systems, Kaizen Sprint, Root Cause Analysis, Engineering Design, Team Building & Training, Leadership, ERP Software Development, Supply Chain Management, SPC Quality Assurance, CAD, Design, Evaluation of Systems, Work Flow & Measurement, Lead Performance & Key Product Characteristics, Standards Development, Data Analysis, Plant Expansion Layout, Total Productive/Preventative/Predictive Maintenance, Machine Upgrades, New Machine Integration, Production Cost Analysis, New Product, Mfg. 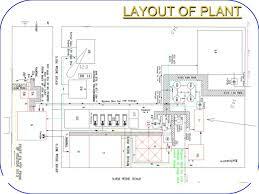 Process & Sales Development; Electrical Assembly, Medical Device, Industrial & Aerospace Process, Machining, Plastics, Carbon Layup, Printing….other Value Added Activities. Quality Management: ISO 9001:2015, AS9100, NADCAP and OSHA regulation training & audit, 13485, BA Regulations, Material Review Board, procedure writing, SPC systems training & implementation. “Lean Six Sigma Class” – “Discover Systems for Optimization!”: A Lean Six Sigma trained staff is better focused and more easily motivated on the “why’s” of system optimization. OBR Optimization Engineering offers a basic one-day class in Lean Six Sigma knowledge and methodologies. Efforts invested in Lean Six Sigma Optimization will set the foundation to improve your companies ROI. Consider OBR for Systems Optimization Today! The bottom line is that customers are attracted to and purchase the value derived from quality products and services. In this business environment, a competitive advantage is created when you increase the quality of the products and services offered to the customer. Let OBR Optimization Engineering develop your Winning Lean Continuous Improvement (CI)! Guaranteed to Deliver Top CI Systems Optimization Metrics and Motivation! OBR Optimization Engineering is your Lean CI Systems Optimization Solution! Contact OBR Today at: Todd Adams: (424) 241-0290, e-mail: Todd.Adams@OBREngineering.com. OBR Engineering. OBR, Better Business Systems, Now!